I like things the way I like them. 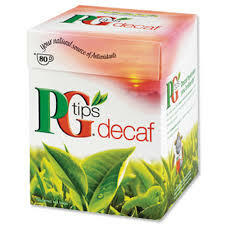 I like decaf PG Tips English tea with stevia and skim milk. I like sunny kitchens and dark bedrooms. I like taking yoga and teaching Nia, and after either, I like to put on a dry shirt. I love my life the way it is, thankyouverymuch. I also love to travel. I love seeing new places, spending time with far-flung people I love, tasting new foods. I love the refreshment of a different flow of the day and letting not just my eyes but my whole body experience things differently. Gratitude and wonder feel more available when I’m traveling and I like hanging out with those two. Astute reader that you are, you no doubt noticed that these two positions are not easily reconciled. And that holding them both might make a person ever-so-slightly antsy. It’s true. Even though I love traveling, the whole prospect of upsetting the beautifully-arranged apple cart of my life makes me go just a teensy bit haywire. I want the excitement and adventure of new places and new experiences, and I also want to keep my life as it is. I can’t imagine not having my breakfast of quinoa with fruit, nuts, and unsweetened almond milk. I want to do yoga and teach and cook. I want to snuggle with the cat and feed the chickens. I also want to swim in warm oceans, smell the fragrances of open air markets, and see all the variations on beautiful that the world has to offer. So, before I go on a trip, I first go into a frenzy of planning and packing and projecting to see how I can both travel with grace and keep things just as they are. I pack my tea, of course, and my yoga clothes and my iPod with that new music I want to choreograph, and Nia routines that I can do in the hotel room. I pack a whole slew of snacks and the chocolate that I like and three different kinds of socks, of course, because different activities require different sock-age. My kind husband is infinitely patient with my craziness and reminds me that I probably don’t need all of those sundresses and that I couldn’t read that many books even if we were going for a year, and that checking a bag now costs $25 – both ways. If I’m feeling very evolved, I take a couple of things out of the overstuffed bag. And then once I’m traveling, I remember: there are 1000 ways to be happy. 10,000. More. That happiness does not depend on tea or socks. I remember that instead of doing yoga, I can hike through a pine forest and climb a 100-foot fire tower. That instead of my quinoa concoction I can have tortillas and grapefruit for breakfast. I remember that one sundress is plenty. Traveling teaches me to be open to what is in front of me. And that openness expands my definition of happy. Traveling also teaches me to open my eyes to the beauty of home. And that I can hang out with gratitude and wonder no matter where I am.